The North & East Texas County Judges and Commissioners Association certainly chose an appropriate theme for this year’s annual conference. First, attendance at the meeting in Galveston County was one of the highest in recent history, with 189 officials convening at Moody Gardens – certainly good news as the Association looks to the future. Second, the timing of the conference – post-interim charges, pre-legislative session – was ideal, providing the perfect opportunity to equip officials as they look toward the 84th Legislative Session. In fact, Rep. Garnet Coleman, D-Houston, capitalized on the theme, “Standing Together for a Brighter Tomorrow,” during a conference session on challenges facing the Lone Star State. During the educational session in Galveston, and in a post-conference interview with County Progress, Coleman referred to and expanded upon the interim charges assigned to the House Committee on County Affairs (Committee), offering specific areas where counties and their state partners can work together to improve their surroundings. “It’s important that you have the tools to steward your county,” Coleman emphasized in Galveston, especially in light of Texas’ booming population. As Commissioners Courts strive to meet the needs of more and more people, “it’s essential that we do not burden you with unfunded mandates,” he continued. Specifically, Coleman and the Committee are calling on Judges and Commissioners to help lawmakers understand how growth has impacted services, land resources and infrastructure. “Communicate the needs of the community to your legislators,” Coleman urged. Along with traditional methods of communication – email, fax and phone calls – he strongly encouraged participation in public hearings conducted by the Committee. For example, during a public hearing on March 24 in Polk County, the Committee heard nearly five and one-half hours of invited and public testimony, including comments by Polk County Commissioner Tommy Overstreet, who addressed state incentives for rural counties. Overstreet noted the difficulty rural counties have competing for new industries with only local property tax abatements when nearby states are offering a generous range of additional incentives. 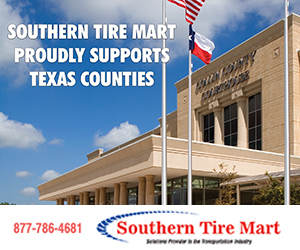 “We need to speak up at these hearings,” declared Jim Allison, general counsel to the County Judges and Commissioners Association of Texas. “When county representatives come before the Committee, lawmakers know they are going to get good information,” said Allison at the North & East Conference. Services provided by these courts address Post-Traumatic Stress Disorder, substance abuse, and primary care treatment, Coleman explained, and assist veterans with jobs and housing. Information collected from counties will be used to make recommendations in the Committee’s final report. Coleman advised officials to use the grant program available through the governor’s office to consider implementing veterans courts in their counties. The Committee will determine which counties have implemented a “cite-and-summons” policy in an effort to determine its effectiveness in reducing the jail population; this policy gives police officers the discretion to cite and issue summons for class A and class B misdemeanors instead of arresting suspects and taking them to jail. “Counties should provide the Committee with additional suggestions on ways to address overcrowding in county jails,” Coleman counseled. 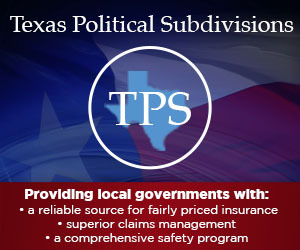 In December 2011, Texas received approval from the Centers for Medicare and Medicaid Services for the Texas Health Care Transformation and Quality Improvement Program 1115 Waiver. Known simply as the 1115 Waiver, this process allows the state to expand Medicaid managed care while preserving hospital funding, provides incentive payments for health care improvements, and directs more funding to hospitals that serve large numbers of uninsured patients. This waiver replaces the current Upper Payment Limit (UPL) program and will be in effect until September 2016. The waiver facilitates more effective treatment and reduces emergency room utilization for primary care, he maintained. In addition, the waiver process creates projects “that divert those in a mental health crisis from our jails and into the appropriate treatment. In return, this reduces the number of low-level inmates in our county jails,” as seen in Travis County with their Mobile Crisis Outreach Team and in Brazos County’s Crisis Intervention Team. Coleman inspired several rounds of applause at the North & East Conference when speaking against unfunded mandates and calling on the State of Texas to return dedicated funds. “In the early 1990s, the state began using non-appropriated general revenue funds to certify the budget,” Coleman detailed. During the last legislative session, lawmakers began reviewing the state’s reliance on these dedicated funds and the need “to return these funds back to the counties for their intended purpose.” Examples include the 9-1-1 Services Fee Account and the Law Enforcement Officer Standards and Education Account. As the state moves to restore some of this funding, Coleman encouraged counties to come up with suggestions for alternative funding resources. This year’s interim charges are somewhat “global,” Coleman summarized, and can help develop tools for the future.